Samsung has officially launched the Galaxy Note 9 in a "limited-edition" Alpine White colour in India, while announcing that the older Galaxy S9+ will now also be available in a dual-tone Polaris Blue finish that had earlier launched in some international markets. Prices for the new variants of the Galaxy Note 9 and Galaxy S9+ will be the same as existing models. The Alpine White edition of Galaxy Note 9 will be available in the 128GB variant only for Rs. 67,900 and Galaxy S9+ Polaris Blue will be available in the 64GB storage variant only for Rs. 64,900. The devices can be pre-ordered at Samsung Online Shop and across selected online platforms starting Friday, December 7 and they will be available via offline stores starting Monday, December 10. "Our consumers are continuously looking to express themselves differently by personalising their tech, and colour plays an important part in that personalisation. The limited-edition Alpine White of Galaxy Note 9 and the dual tone Polaris Blue of Galaxy S9+ extends the colour offerings with modern styles that embrace an elegant and classic feel. Both Galaxy Note 9 and S9+ have witnessed overwhelming response from consumers. Keeping that in mind, we are extremely delighted to launch these new colours," said Aditya Babbar, General Manager, Mobile Business, Samsung India. 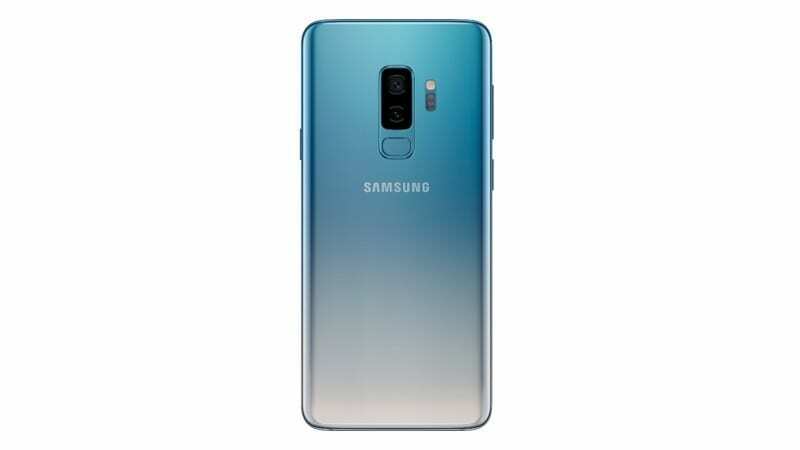 To recall, the Galaxy Note 9 was launched in India in August in four colour options - Ocean Blue, Midnight Black, Metallic Copper, and Lavender Purple. The new Alpine White colour option looks similar to the Snow White option that launched in Taiwan last month. The new Polaris Blue finish of the Galaxy S9+ also became available in Samsung's home country late last month and it will be the sixth colour option for the Samsung smartphone in India. The phone is already available in Blue, Black, Purple, Red, and Sunrise Gold colours. Right now, customers can avail an exchange bonus of Rs. 9,000 on exchanging select old smartphones. Alternately, customers can avail Rs. 6,000 cash back, if they pay through HDFC credit or debit cards. Additionally, customers can avail Rs. 3,000 instant cash back on Galaxy S9+ Polaris Blue.